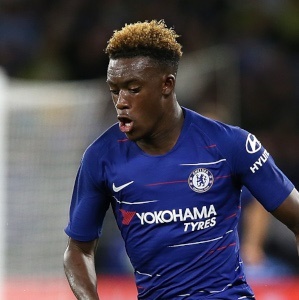 Cape Town - Chelsea will reportedly not sell Callum Hudson-Odoi at the end of the season despite the fact he is set to enter the final year of his deal. Hudson-Odoi is yet to start a Premier League game this season but has still managed to force his way into the England squad and played the full 90 minutes in Monday's 5-1 win in Montenegro. Chelsea are believed to have offered Hudson-Odoi a five-year contract, worth £80 000 per week, but they are not hopeful it will be signed. Hudson-Odoi had been keen to join Bayern Munich in January but the German giants were unable to agree terms with the Blues. Premier League rivals Manchester United have also been tipped to make a move but it seems Chelsea are unwilling to sell the 18-year-old. Chelsea are reportedly ready to reject all offers for Hudson-Odoi, presumably in the hope he will agree to a new deal at some stage, whether this season or next. The Stamford Bridge side are running the risk of losing him for a comparatively small compensation fee next summer by refusing to sell if he refuses to put pen to paper on an extension.